Lots of bulbs, most of the greens are up, can’t wait to see what types and colors I have. 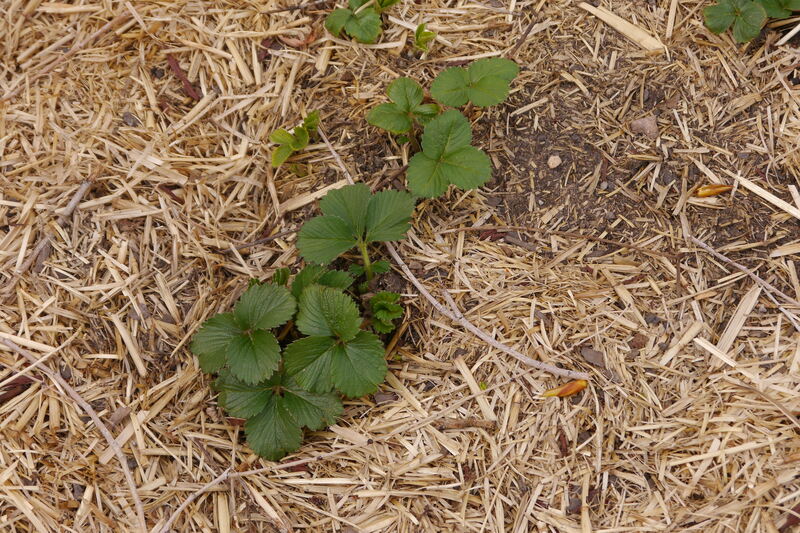 The strawberries appear to have survived the dogs. I have the bed fenced off, but Bixby seems to think that means it’s his own private playpen. Sigh. 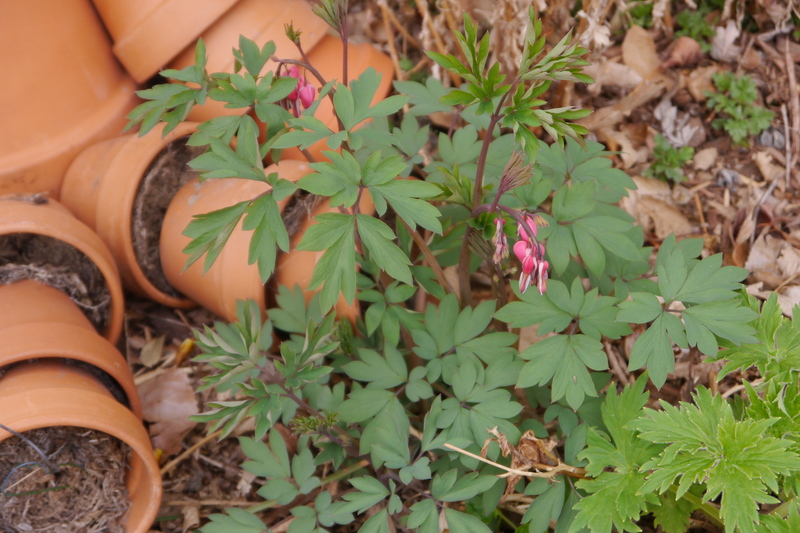 Bleeding hearts that I will move to the rock garden as the weather warms up and I don’t risk losing it. 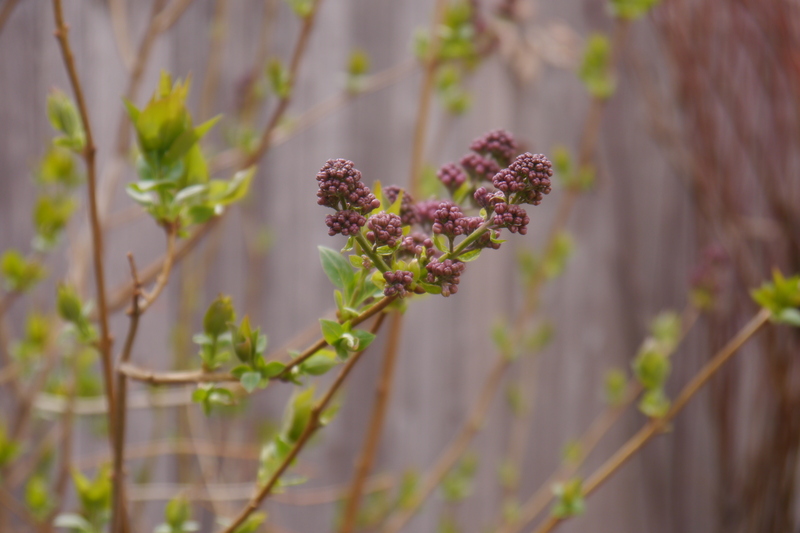 A few good days of rain (thank fully the snow stayed west and south) and my lilacs are ready to pop. 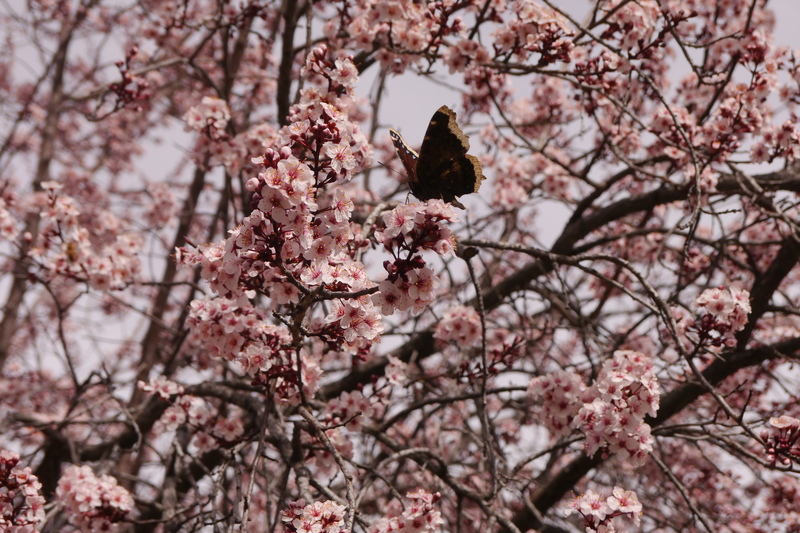 There are over a dozen in my tiny yard and I couldn’t be more thrilled. 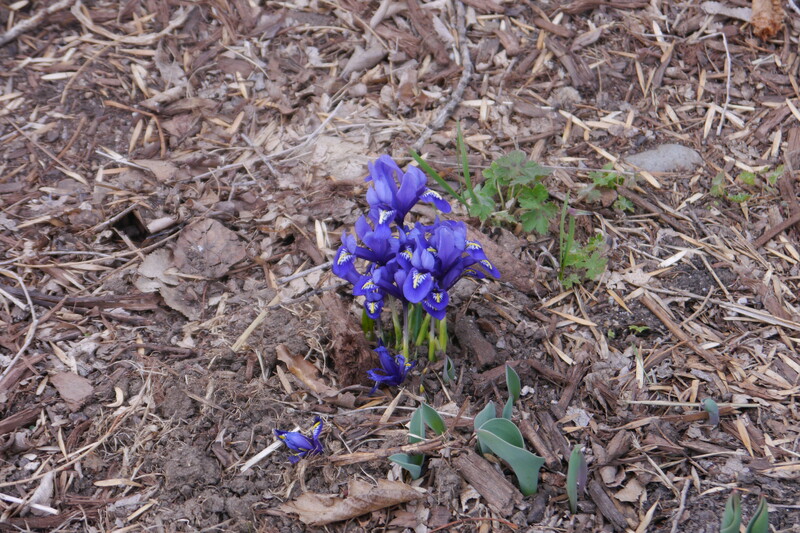 I’m plotting out the vegetable garden, but that’s a good month away….